strings and harps, timbales and drums. I can only recognize myself as a symphony. Music is a universal language. It crosses cultural and continental boundaries. Music offers pleasures of listening and composing and uses science, technology and math. Did you know that Wolfgang Amadeus Mozart, the famous composer who lived in the 1700’s, began playing piano at the age of three, and wrote his first symphony by the time he was 9? Mozart was a prodigy or an exceptionally gifted individual and traveled Europe all his life to impress royalty. Mozart isn’t the only famous composer of history. 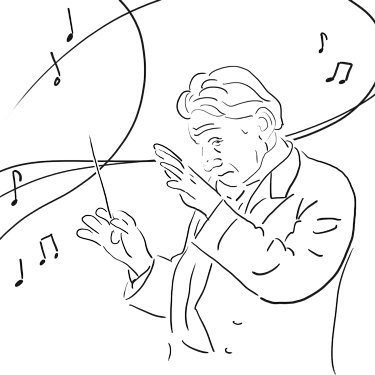 Orchestras around the world play music from thousands of composers, some ancient, and some still writing today. The classical style of music joins many other types of music- jazz, rock n roll, reggae created today. 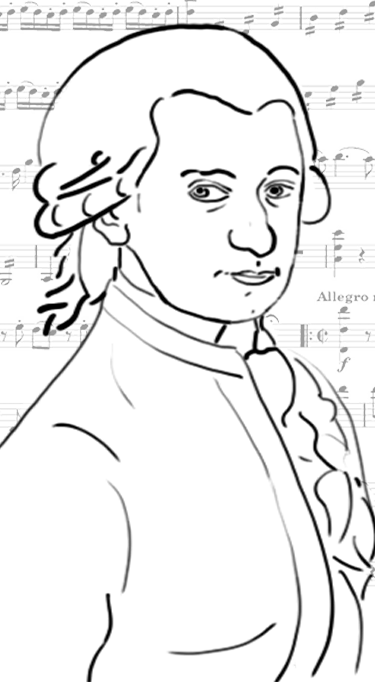 Composers, performers, and musicians are needed and appreciated in many aspects of our lives. Consider the ringtone on your telephone or the soundtrack to your favorite movie. Think about your favorite song on the radio or the jingles played at the end of television commercials. These songs don’t just come out of nowhere. Millions of musicians worldwide collaborate every day to write, perform, and record the music that makes up our lives. In fact, the music industry makes over $47 billion worldwide. Music is easy to learn and create. It starts by learning fundamentals of music like beat, rhythm, melody and harmony. Explore the activities below, and see where music takes you. Who knows, maybe someday you could be on the radio singing the next hit single! Activity 1 – One, two, three! One, two three! Play your favorite song on your CD player, MP3 player, computer, or phone. Find a timer, and set the timer to 60 seconds. Play the song, find its rhthym, and regularly clap with the beat of the music. Sometimes people naturally find the beat, but if you are confused, don’t worry! If you can’t instinctively find the beat, listen to the drummer and clap along with his beat. Once you find the beat and start the timer, count how many beats occur in 60 seconds. The number of beats is the tempo or speed, of the music. On a sheet of music, tempo will sometimes be written in the music with the marking BPM or beats per minute. Musicians keep track of their tempo with a device called a metronome. Explore an interactive online version of the metronome. Set the metronome to different speeds and play even a single note on this piano keyboard. Play one or two or three notes slow, then medium speed, and then fast! Leave some pauses or silent beats, too! Beethoven wasn’t the only composer to embed vivid imagery into his compositions. Some pieces are famous for the scenes they invoke in the mind while others are deliberately intended to paint a picture or tell a story. Sergei Prokofiev’s “Peter and the Wolf,” written in 1936 tells the story of a boy named Peter, who catches a wolf. Listen to an example below, and on a sheet of paper, draw what you see in your mind as the music plays. Do not worry if you struggle with drawing! These images are not meant to be perfect. They can even be abstract! Just make sure to keep drawing until the music stops without pausing. Once you are done, research the music and see if you and the composer see eye-to-eye! What kinds of words come to mind when you are asked to describe a piece of music? Happy? Sad? Contemplative? Aggressive? Playful? Expression lies at the heart of every piece of music, and it is up to the performer to play a piece true to the composer’s intent. You may have heard the name Ludwig Van Beethoven. Beethoven was a German composer famous for his piano sonatas, and his nine symphonies. Most people are familiar with his 9th symphony, sometimes referred to as Ode to Joy after the name of the final movement. However, Beethoven’s 6th symphony, Pastoral is beloved for its tender expression and idyllic melodies. Beethoven wrote Pastoral while remembering his visits to the countryside of Vienna, and appropriately named the first movement, Awakening of Cheerful Feelings on Arriving in the Country. Give Beethoven’s 6th a listen. Write down as many descriptive words as you can. As you come up with your words, think about what Beethoven could have seen on a warm summer day in the country. Now that you have the hang of it spend some time sounding out a melody you know by finding the right order of piano keys. Also free to experiment and write your own! Record it as a sequence of note names. Upload a snapshot of written work or a PDF of a typed sequence to share. When writing or reading music, every pitch that you sing or whistle is given a note name. Pitch refers to how high or low the note is. 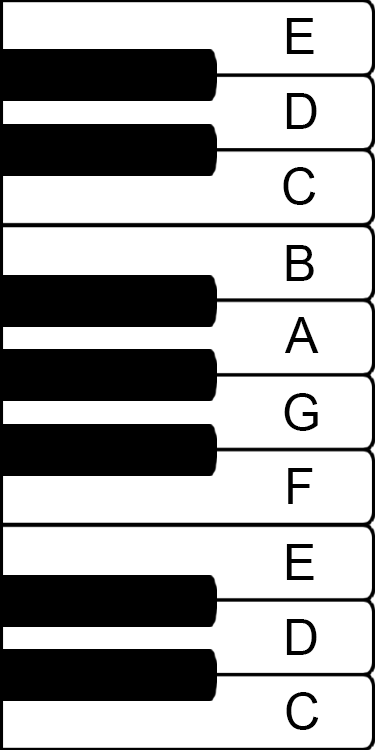 Notes are named A, B, C, D, E, F, and G. How can every sound be represented by just seven letters? As the notes get higher, and you reach “G”, you simply repeat the naming procedure again naming the next higher note A. The next note above A would be another B and so on. Look at the image of the musical staff at the right. There are five lines that each belongs to a different note name. The first line is E; then G, then B, then D, then F. A good way to remember this is “Every Good Boy Does Fine”. Look at the four spaces between the lines. The first is F, then A, then C, then E. A good way to remember this is simply the word “FACE.” Alternating between line and space from the bottom-up would read E, F, G, A, B, C, D, E, F. Draw four lines and place the notes on the lines and the next note in the spaces. Sometimes notes appear above or below the five staff lines. When this occurs, small lines appear on the note as if the staff continued. To find these note names, simply count up or down in order (A, B, C, D, E, F, G, A, B, C….) from the last note you can identify. Look at this page of sheet music. Identify and write the note names above every note. Bach, Beethoven, Mozart, Handel, Tchaikovsky, Vivaldi, Debussy: Do you recognize any names on this list? There is a very good chance you have heard of at least one. Classical composers, like those listed above, are relevant today as they were hundreds of years ago because their music set the foundation for all music that followed. 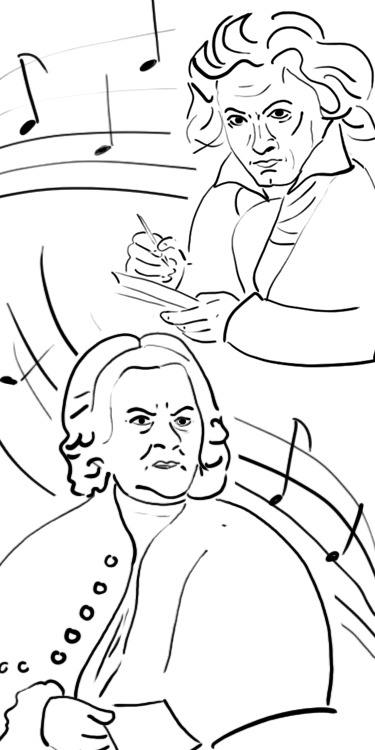 Did you know that Johann Sebastian Bach, for instance, wrote 1126 compositions in his lifetime, ranging from church music to organ music, to solo pieces? Bach is referred to as “the father of modern Harmony”; the rules he composed music with are followed to this day! Research a unique musical composer from history, and write a short report about his or her life. Include details such as birthdate and birthplace, early childhood and influences, careers, type of music written, significant performances, and death. Use a program such as Microsoft Word to organize your information. Include pictures in your report. Save your report to a PDF and upload when you finish. Can Listening to Music Help You Learn?